These presentation slides 41240 are complete compatible with Google Slides. Simple download PPTX and open the template in Google Slides. 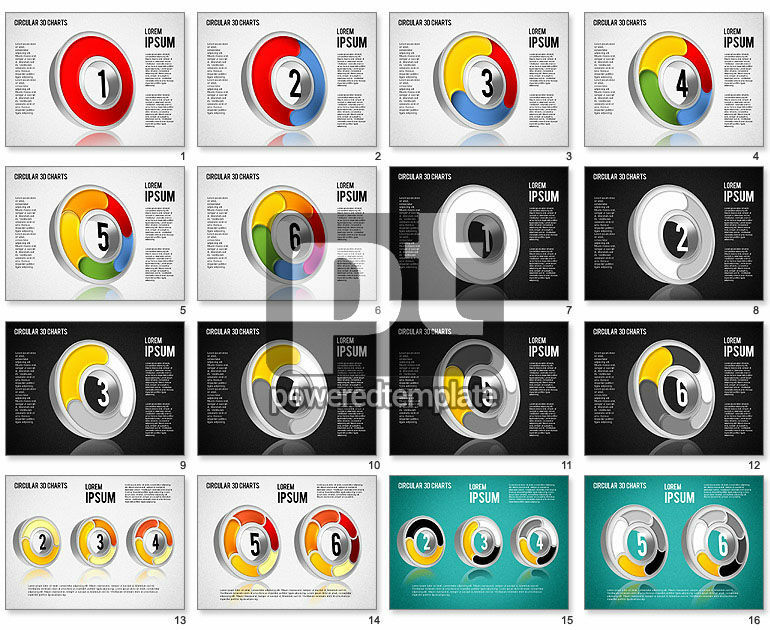 This beautiful Circular 3-D Charts template will be adored by everybody among your audience due to its creativity. It shows colorful 3-D circles with numbers, stripes, areas for your information and so on. Also this cool sample has two color grades of the background. This modern cool template can suit many subjects of presentations, and it best fits planning, scheduling, step by step actions, etc.